I use both hand- and power tools in making this joint. 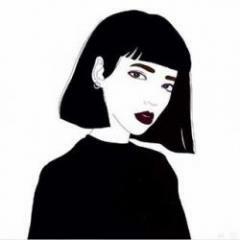 Generally I decide on one or the other according to my mood, the alignment of the planets, how many joints there are, and and quickly it needs to be done. I was building a coffee table for my son this weekend, and decided to use the power method. Here are photos for your amusement. 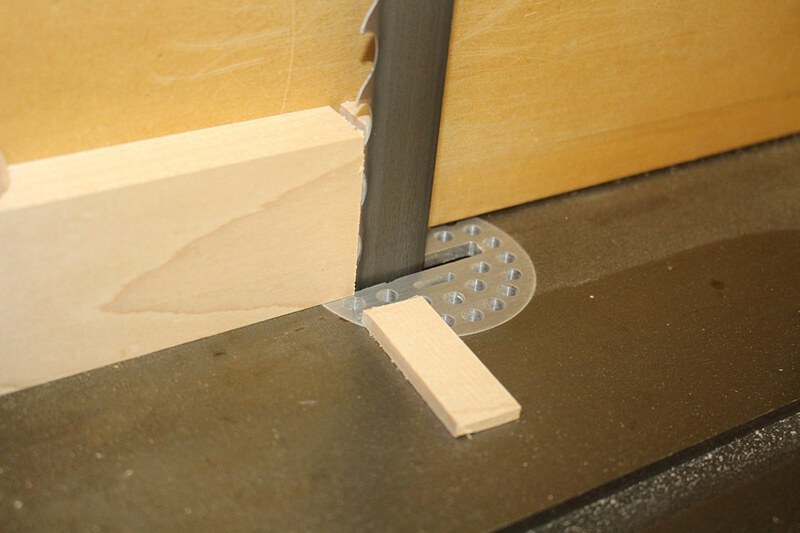 In this instance the router uses a 8mm or 5/16" wide mortice using a spiral upcut bit. I will generally cut the mortices first, whether hand- or power. 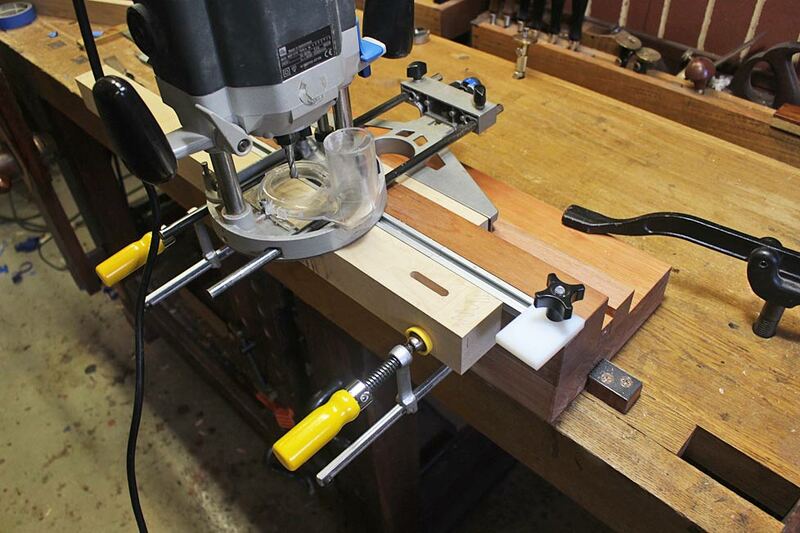 It does not make a lot of difference since both are marked out with a mortice gauge from a reference side. 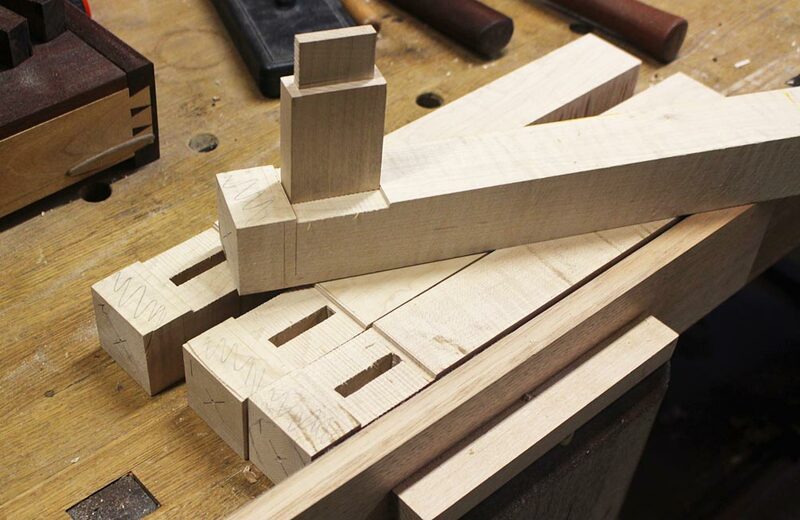 The mortice/tenon is centred (where the design calls for this) by eye. This means that it is not quite centre - but that is fine as long as all markings follow the same reference side. Set up the blade to the height of the cheek from the reference side (This may or may not - likely not - be the same for the non-reference side. It is not vital). 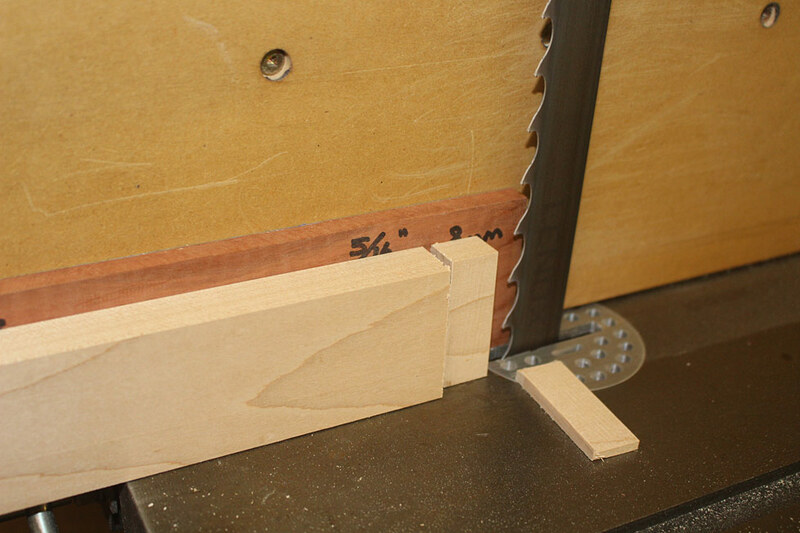 Complete the saw cuts on all four sides (the practice was made this way, and this enabled the length of the mortice to be determined). Next I cut the cheeks on the bandsaw, and return to the table saw, but one could do all the table saw work at the one time. 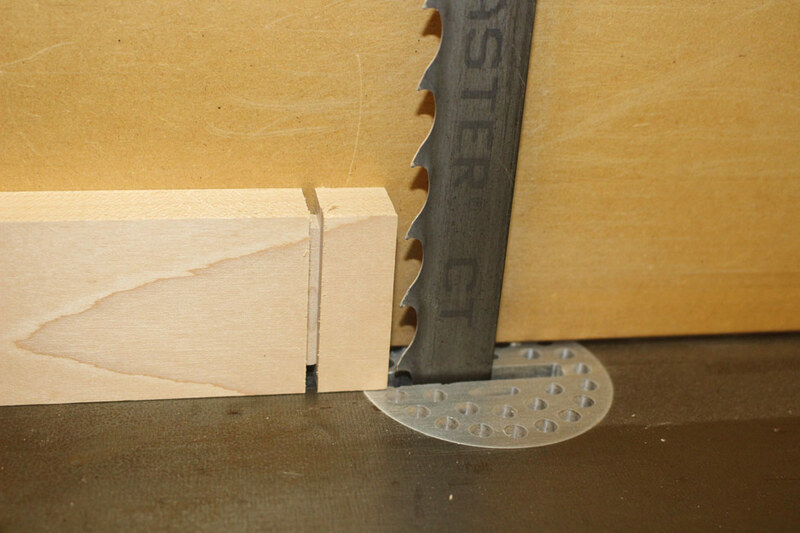 The bandsaw is set up to saw the cheek furthest from the fence. The reference side faces the fence. I have made a few spacers. This one is for a 8mm or 5/16" wide tenon/mortice. 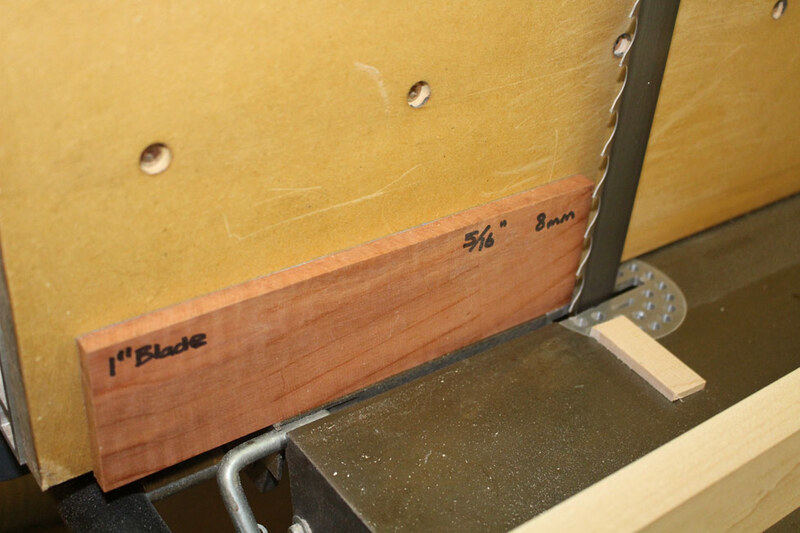 The measurement is the width plus the width of the bandsaw blade. 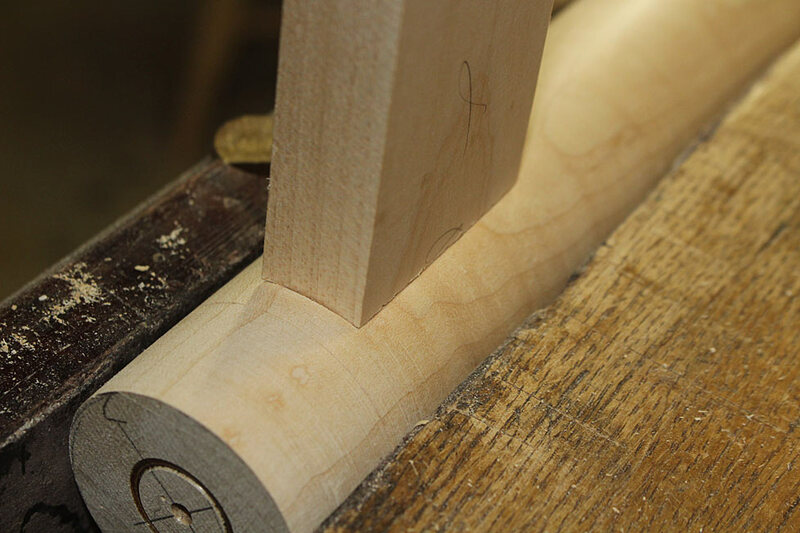 You can see that the beauty ends of the tenon still need to be removed. This is where I return to the table saw (as mentioned, this could have been done at the same time as the shoulders). Simply remove this with a chisel .. It may end the other way, that is, with a slight groove. I really would not be concerned - no one will see this, and it will not detract from the joint's strength. Thanks for passing this along Derek looks like a nice set up. it always amazes me how many ways there are to do things in the shop, your way is close to the way i do mine but i may have to steal that jig design, nice work sir! I like that jig too. 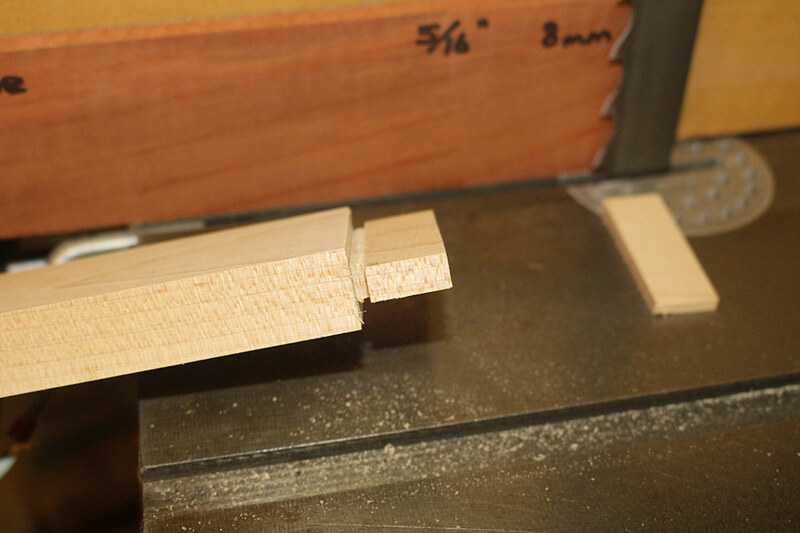 I tend to drill out my mortises and follow up with mortise chisels, doing the lion's share of truing by hand. But I've been known to use the old router a time or three as well, for longer grooves with stops. 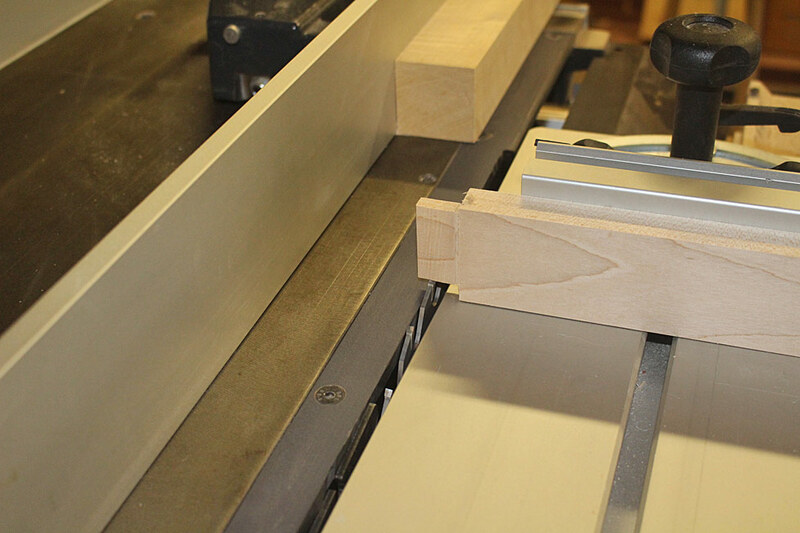 Your mortising jig is pretty neat; does the dust collection device work pretty well? PH, dust control is decent. I use a Festool CT26E. The hose was removed for the photo. The router is plugged into the vac for auto switch on. CO, I have a Festool Domino 500, which I purchased when building a kitchen full of Shaker style frame and panel doors. I have used it for a few other small jobs. In my opinion, it is very far from the standards attainable from a mortice and tenon joint. The latter is more flexible in design, stronger in application, and reversible when repairs are needed. The Domino is like a better biscuit or a better dowel. 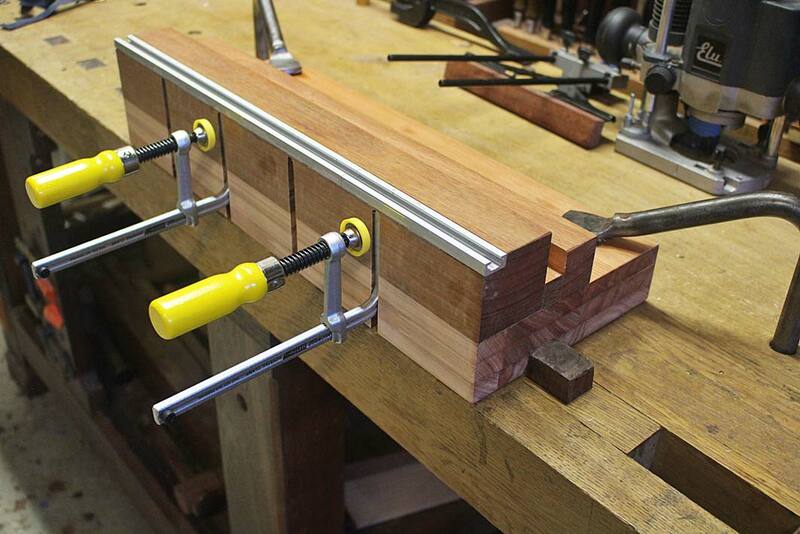 It has a place, but will never replace traditional mortice and tenon joinery. I simply cannot imagine the world with heirloom furniture joined with dominos. I think a mortice and tenon is stronger than dominoes. But the dominoes are strong enough. Under load, the domino joint will break the wood but not the joint. CO, keep in mind that I am not a longstanding user of the Domino. Others may not experience my frustration. 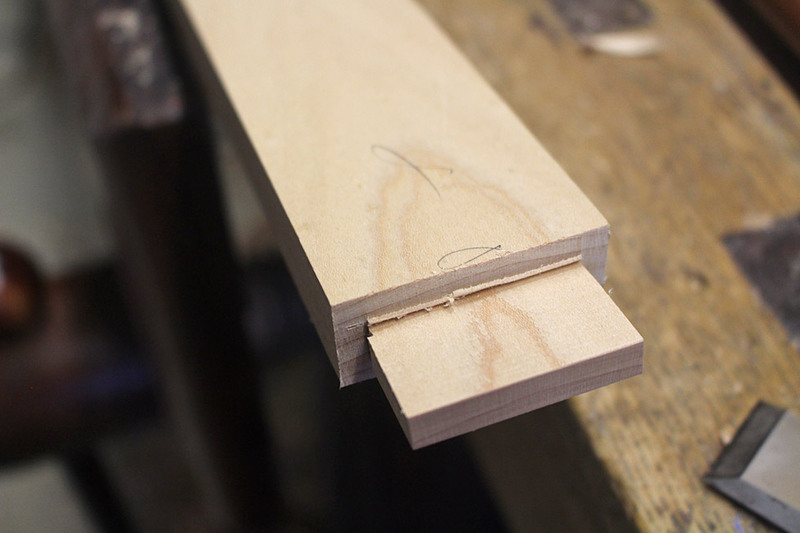 The problem I have with the dominos is that (1) you need to use more than one to get the width to prevent twisting, and (2) the joinery is difficult to unglue, should you need to do so. Answer for (1) you can make your own dominoes. With your skills and tools it is a no brainer. 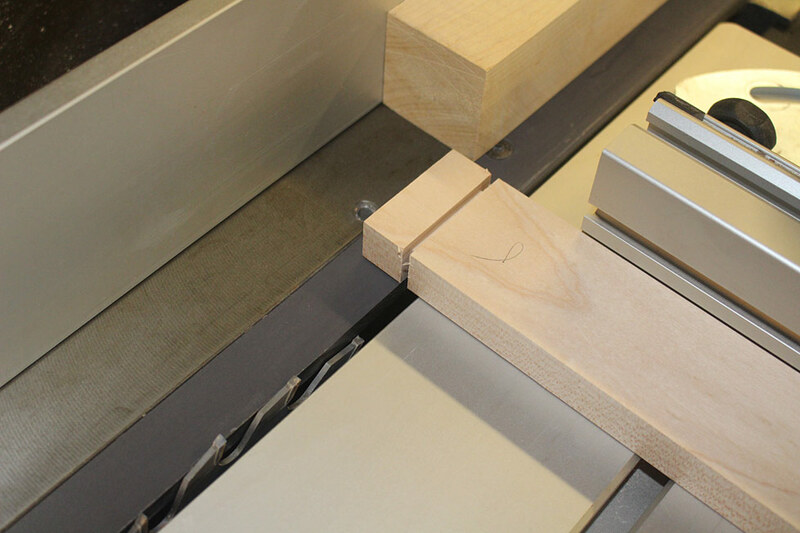 When you have a need for a specific dimension, mill a piece a foot or 2 long and cut what you need and save the rest. 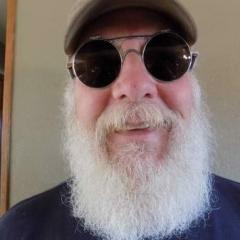 I also will when needed have a few across a long joint. I almost always cut a bigger slot. I see no need. if concealed no need for a perfect fit left to right. It is perfect in thickness and adds to the speed and ease of glue up if side to side play is aloud. 2 I would not like to unglue a mortice joint glued with tite bond 3 either. The large benefit is a lot of time is saved...However it is far beyond me to criticize your exceptional work. It appears your pleasure is partially in the use of hand tools. 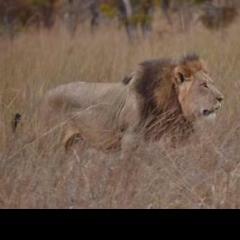 And I completely understand about feeding a passion. And I admire it. Question of ignorance and not a challenge. 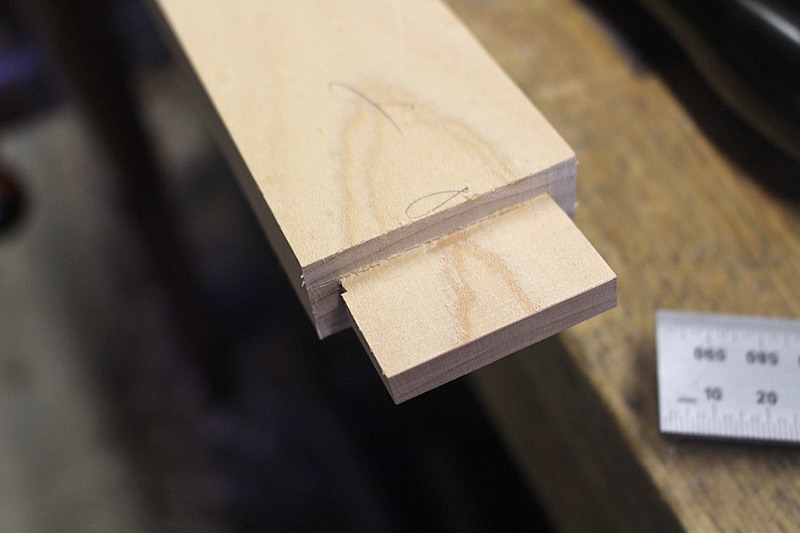 Will hide glue not play well with domino like it does with dowel and traditional tenon? I still stand by the tool as being a great mortise machine. 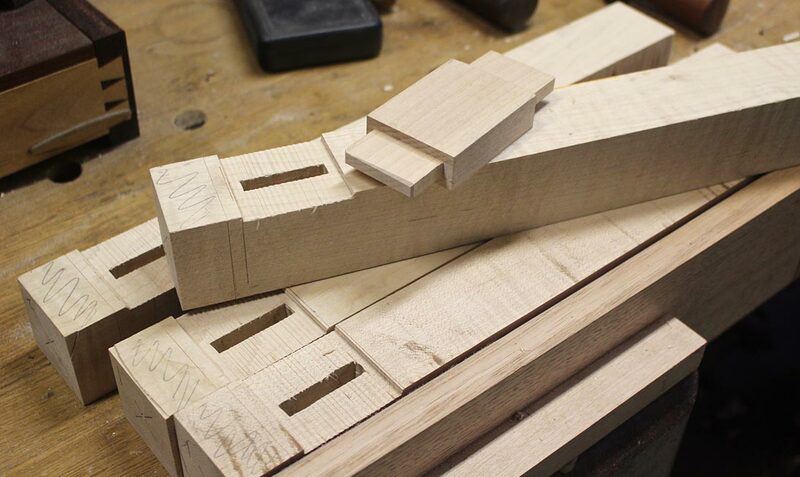 Buy it leave the dominoes in the store and cut your own tenons the traditional way and it's not much different than using anything else for mortises with the 1 big benefit being it's handheld. Quite a few times i have made a few plunges side by side to get super wide mortises.